Number of Buildings: 36 nos. 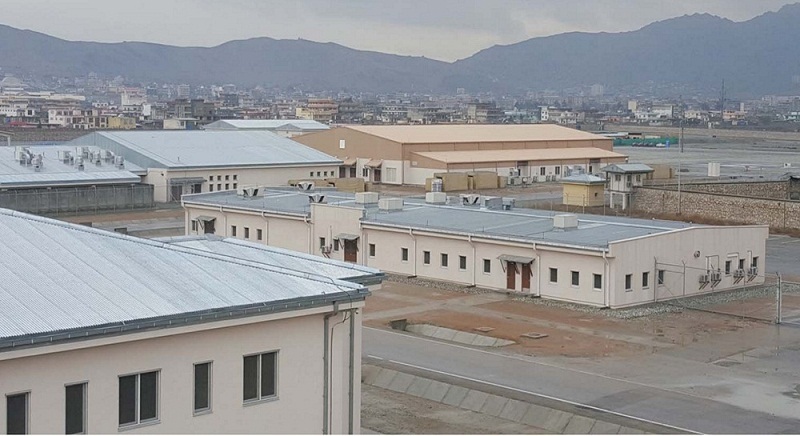 The project consists of the construction of a new National Police Command Center (NPCC) complex for the Afghan National Police (ANP), Ministry of Interior (MOI) in Kabul Province, Afghanistan. 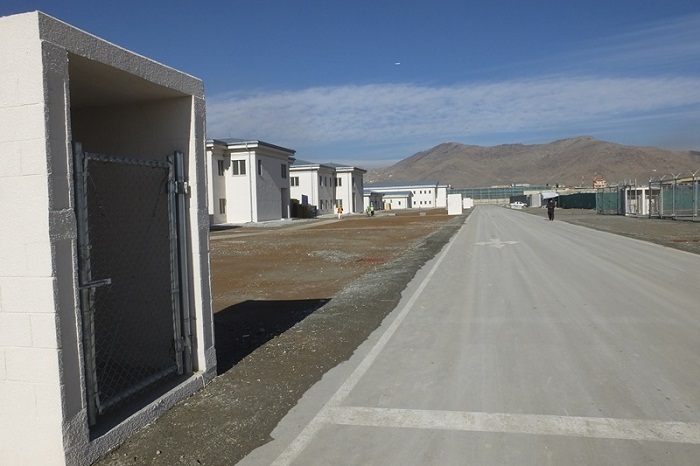 This is located adjacent to the Kabul International Airport. The project is to design and construct buildings, parking, utilities, grading and other infrastructure. It involves mainly of multi-story CMU buildings and the power generation systems/utilities network. 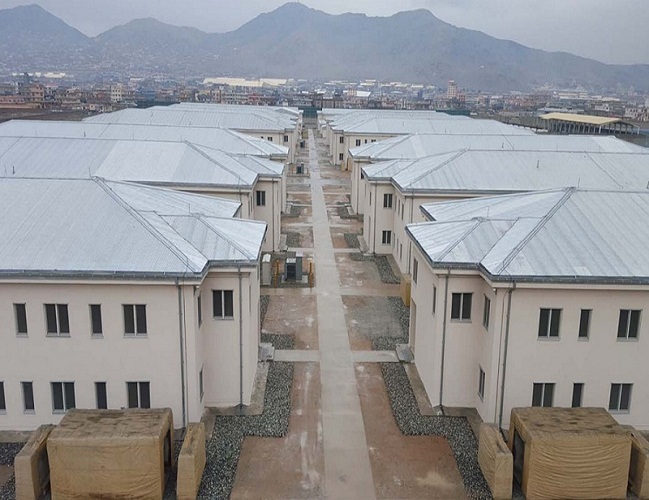 The construction of the state-of-the-art campus in Kabul presents site features that include sports recreation field & track, volleyball court, motor pool, fuel storage and vehicle refueling point. Under its force protection scope, a secondary entry control points were built including guard shacks, and renovation of guard towers. Site utility involves site storm sewer system, water distribution system including well & pump system, gravity sanitary sewer system to all the buildings requiring service, lightning protection system, and electrical power distribution system with a primary distribution voltage of 20kV, 50Hz. 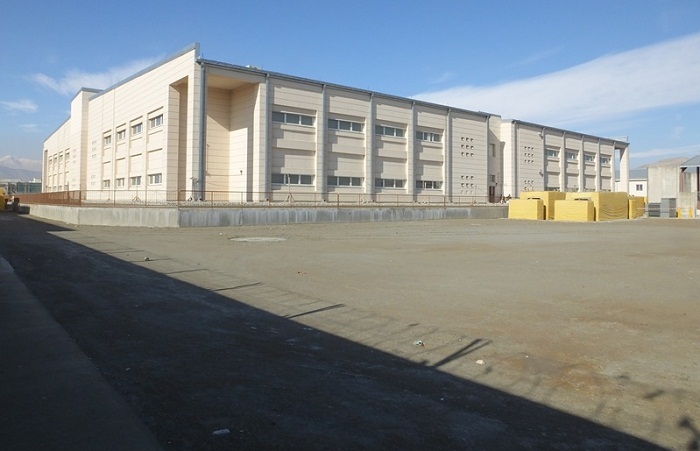 The following buildings were built to specifications: Administration Building, Administration Training Company, Auditorium, Dining Facility, Enlisted and Officer Barracks, NPCC Gate House, Interview Building, Laundry, Fitness Center, Medical Clinic, Small Arms and Weapon Storages, POL, Well House among others. Majority of these buildings are masonry buildings and some of the structures were preengineered metal buildings with either cold-formed metal framing roof with roof panel or steel standing seam metal roof. All buildings were fit-out with doors and windows, ceramic / terrazzo tile works, paint, and epoxy painted sealed flooring. A complete heating and ventilation system were designed and provided for all applicable type of occupancies. The dining facility contains walk-in coolers that are panel type modular construction with refrigeration system already incorporated for both coolers and freezers. In the midst of the construction period and as initiated by the Client, MVL has to terminate abruptly one of its major subcontractor for convenience. The successful buyouts following this, and immediate re-award of the work scopes show cased MVL's ability and flexibility to manage its sub-contracts. On a forensic laboratory, wherein the building was already undergoing pre-final inspection, a walk through by the end-user identified that the submitted and approved laboratory hood was not what they required. MVL logistics and procurement had airfreighted 4 modular laboratory hoods immediately from US as per the end-user/ Client requirement. The construction, security, quality and safety standards for NPCC are very similar and highly relevant for the subject solicitation. At peak performance levels, MVL has managed nearly 1700 Expat, Third-country National, and Local National construction and safety personnel without any incident. MVL's management of the NPCC project increased all necessary manpower to compress the schedule in order to meet aggressive deadlines. The Contractor completed the project ahead of schedule and to the client's total satisfaction. Kabul has a cold semi-arid climate with precipitation concentrated in the winter (almost exclusively falling as snow) and spring months. Temperatures are relatively cool compared to much of Southwest Asia, mainly due to the high elevation of the city. Summer has very low humidity, providing relief from the heat. Autumn features warm afternoons and sharply cooler evenings. Winters are cold, with a January daily average of -2.3 ° C (27.9 °F). Spring is the wettest time of the year, though temperatures are generally amiable. Sunny conditions dominate year-round. The annual mean temperature is 12.1 °C (53.8 °F). Construction Materials: Materials as per US Government Standards.